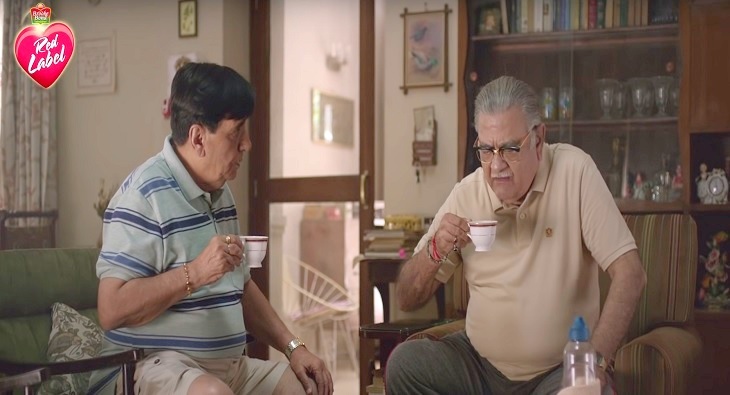 Over the years, Red Label has brought its brand platform ‘Swad Apnepan ka’ to life by touching on various social issues that are often spoken of in hushed tones. The new campaign brings to fore, the issue of food preferences and the silent divide that exists between vegetarians and non-vegetarians. The endearing film features two aged friends meeting after years. The vegetarian friend visiting the non-vegetarian friend refuses tea on the grounds of meat being cooked in his house. What follows is a warm cup of tea and its aroma that breaks the veg-non-veg tension between the two friends. With the #vegnonvegtension the brand aims to start a conversation by inviting people to share their stories. Speaking on the campaign, Shiva Krishnamurthy, Vice President, Tea & Foods (HUL) said, “Brooke Bond Red Label’s purpose is to make India more inclusive. We believe in confronting and challenging prejudices that come in the way of being more inclusive. Our latest TVC challenges one such prejudice in a light-hearted manner over a tasty cup of tea. We hope that people will love it as much as they have loved all the earlier commercials of our ongoing Swad Apnepan Ka campaign”.